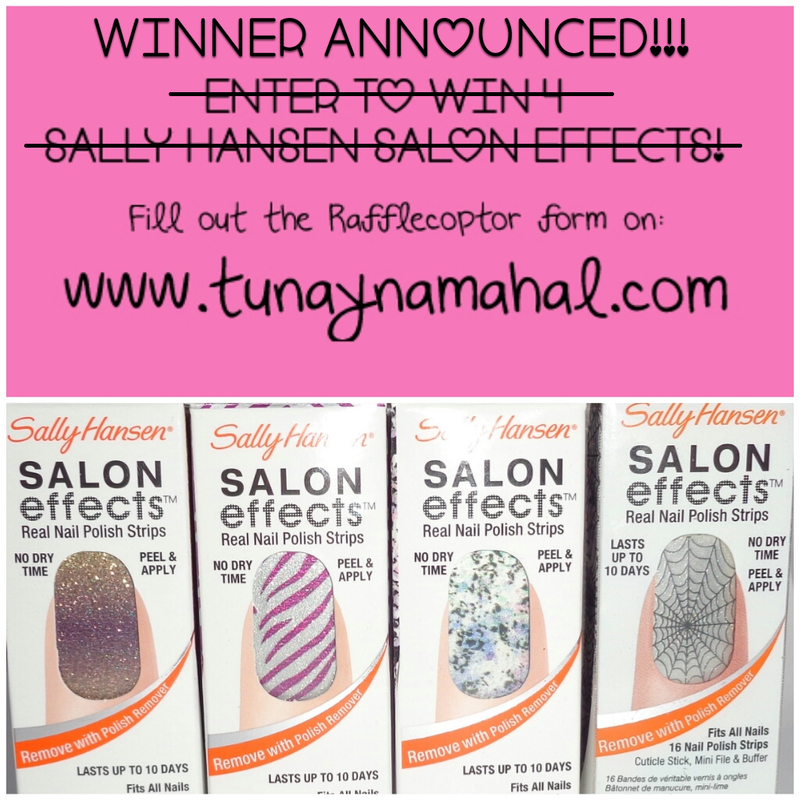 You won all 4 Sally Hansen Salon Effect Designs! 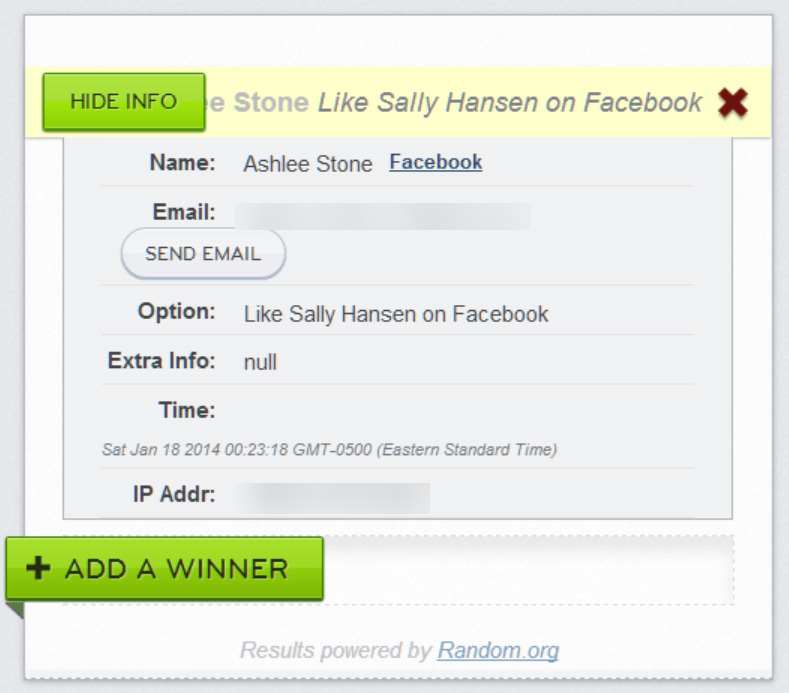 You have 48 hours to respond to the email I sent to claim your prize! I have two more giveaway's coming soon so keep an eye out for them!